The CoffeeShop Blog: CoffeeShop "Facebook Cover Set #26"! CoffeeShop "Facebook Cover Set #26"! Today I have a brand new set of two Facebook covers/headers with optional borders/logo box. 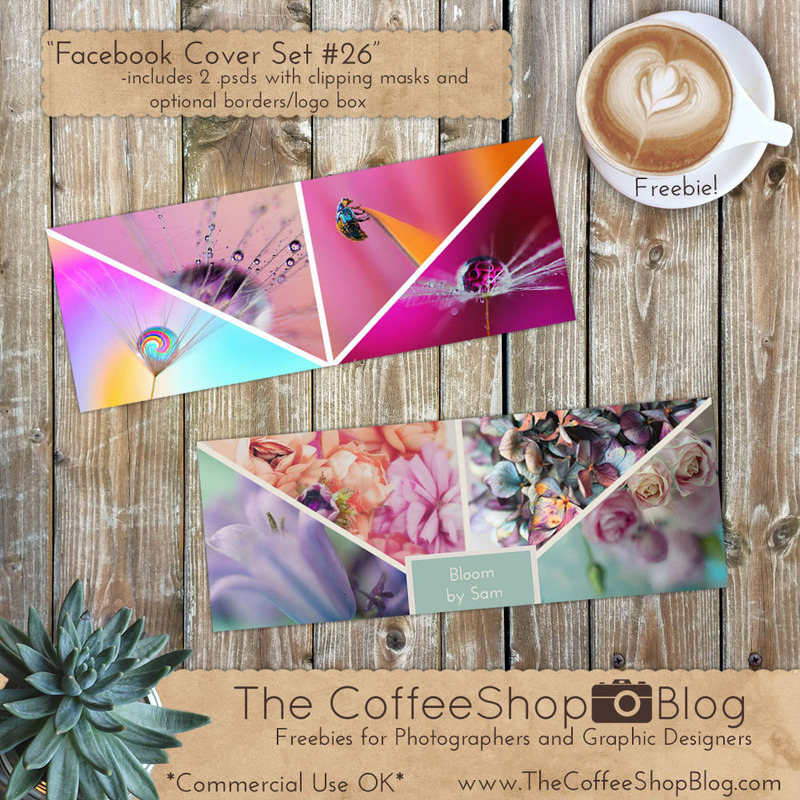 The Facebook covers are psd files so you can add your images using clipping masks (tutorial and free action). All of the colors can be easily changed to match your own images. These would be perfect for digital designers who want to show off their logos or digital papers. I want to thank Sam of Bloom for allowing me to use her gorgeous images in my examples above. Download the CoffeeShop "Facebook Cover Set #26". You can also download it here.